Featuring the 38mm AustriAlpin Cobra Buckle, the IA 1.5" Range Belt weighs in at only 160 grams in size 36" making it one of the lightest belts of its type and size on the market. The Intelligent Armour 1.5" Range Belt fits well into our range of combat and tactical belts and is modeled on our very popular IA Combat Holster Belt. 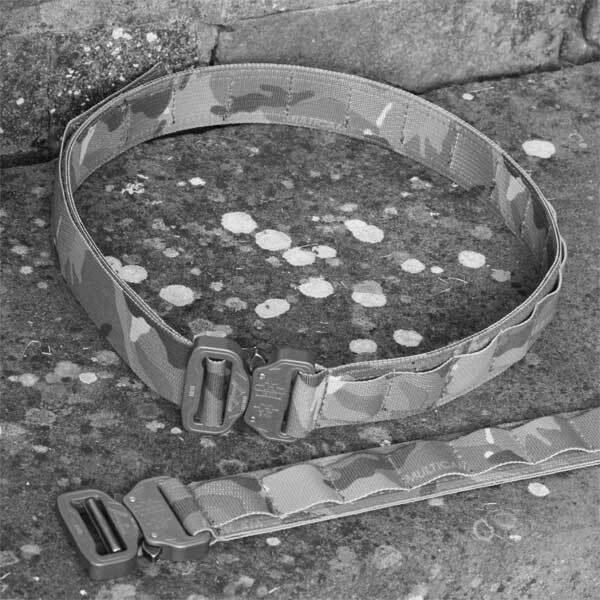 The Intelligent Armour 1.5" Range Belt has a good range of adjustment for size. Two inches down and three up; offering a good range of adjustment compared to other belts. adjustment is made via the AustriAlpin Cobra Buckle and the loose end of the webbing is secured with Velcro hook and loop (as with our other belts). AustriAlpin Cobra Buckles are CNC machined from the highest grade 7075 aluminium alloy and feature solid brass and stainless internal release mechanisms. All Cobra Buckles are tested and certified by highly respected independent /3rd party test houses and exceed Military Specification guidelines. 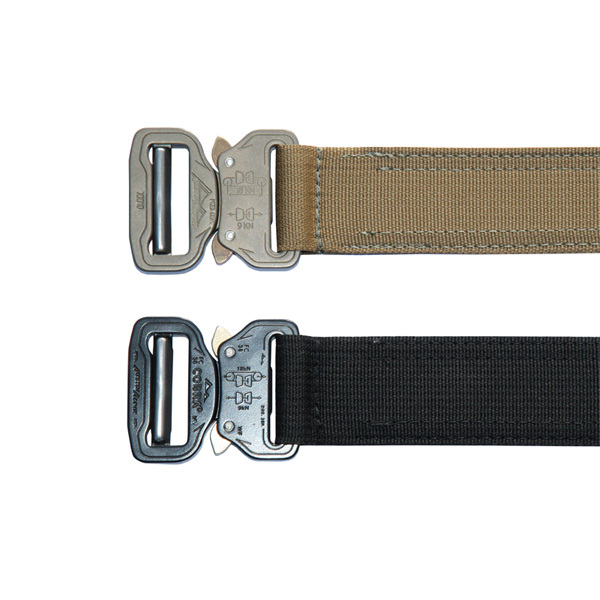 The IA 1.5 Inch Range Belt is manufactured from strong but lightweight webbing, US Grade: mil-w-17337 and is sewn with military grade type 69 nylon bonded thread; this thread provides superior strength while resisting rot and mildew. 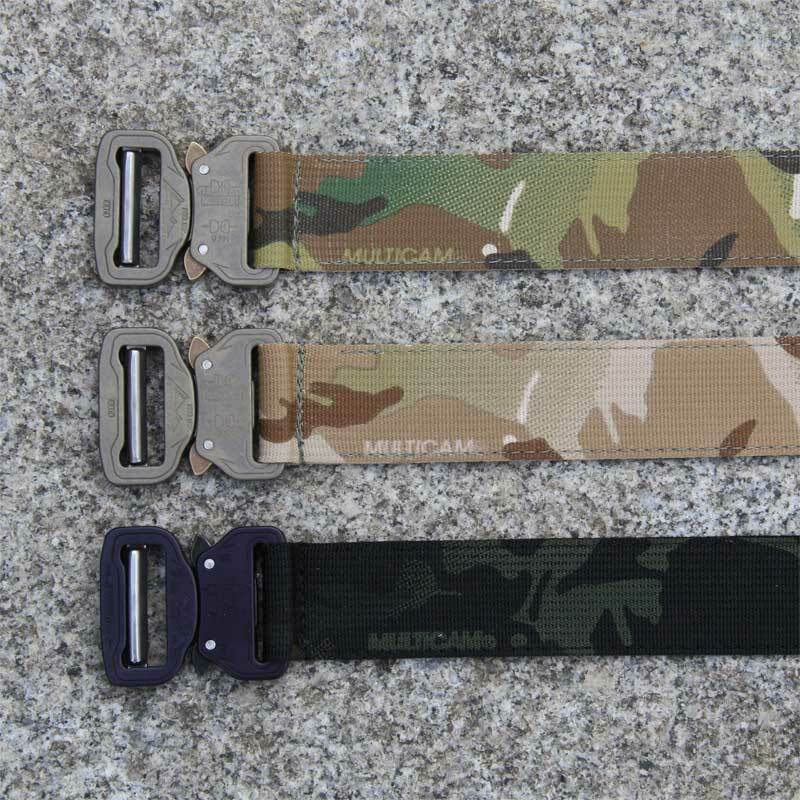 Available in many base colours and camouflage patterns, the IA 1.5 Inch Range Belt comes in: Black, Coyote Tan, Foliage Green, Olive Drab Green, Multicam original, Multicam Black, Kryptek Highlander & Kryptek Typhon. We may on request add other camaflauge patterns. Only 160 grams in size 36"